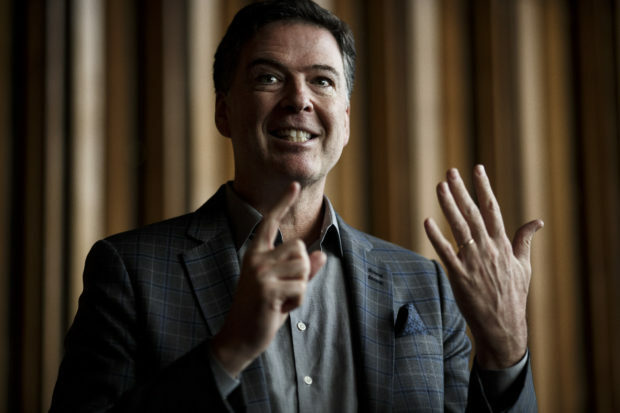 The FBI opened an investigation into whether President Donald Trump was working on behalf of Russia just after the Republican fired James Comey as FBI director, according to The New York Times. Special counsel Robert Mueller took over the inquiry upon his appointment May 17, 2017, just over a week after Trump fired Comey. It is unclear whether Mueller is continuing that part of the investigation, which has focused mainly on possible collusion between the Trump campaign and Russian government, the Times reports. It previously reported Mueller and the FBI are investigating Trump for possible obstruction of justice over Comey’s firing, but the counterintelligence investigation into Trump had not been disclosed until the Times scoop. The article did not indicate whether the FBI or Mueller developed evidence Trump was a Russian asset. Allegations made in the unverified and salacious Steele dossier also stoked concerns among FBI officials. The dossier alleges the Kremlin had blackmail material on Trump in the form of a sexually explicit video. The counterintelligence investigation was ultimately opened after Trump publicly discussed Comey’s firing, suggesting it was because of the Russia probe. That’s when the FBI decided to investigate “whether the president’s own actions constituted a possible threat to national security,” according to the Times.